Charlene Sanders Hall obituary. Carnes Funeral Home. Nov 18, 2017 So sorry for your loss. Charlene was a wonderful person. Charlene Sanders Hall, age 73, of Texas City, Texas departed this life on Saturday, November 11, 2017. Charlene Sanders Hall, was born December 24, 1943 in Galveston, Texas. She was the oldest of two daughters born to Seab & Geneva Sanders. 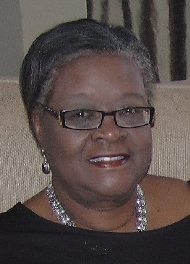 She grew up in Galveston, Texas and received her public education in the Galveston Public School System and graduated from Central High in 1962. She furthered her education at Huston Tillotson College and earned her Bachelors of Science Degree in Chemistry. She accepted Christ, was baptized at an early age and was a member of Live Oak Baptist Church in Galveston, Texas. She met and married the love her life, Albert Hall, Jr. in 1970; and together they raised and reared their three children. They lived and worked in Galveston, later moved to Texas City and she was employed by Amoco Oil Refinery. Charlene was an extremely dedicated and hard worker for Amoco and after 30 years of employment, she retired in 2006. After their move to Texas City, she united with Greater Barbour’s Chapel Missionary Baptist Church under the pastorage of the late Rev. H. A. Ratcliff, Jr. She served untiringly as a member of the Sunday School, President of the Mission, Deaconess, and Director of Vacation Bible School. In 1999, she joined Greater St. Matthews and served in many capacities in the church, until the decline of her health. She was preceded in death by her parents, her only sister, Sylvia Sanders, and niece Lucretia Cormier. Steve (Faye) Jack of Galveston and Shanna (Kenneth) Spurlock of Dickinson; and other Relatives and Friends.